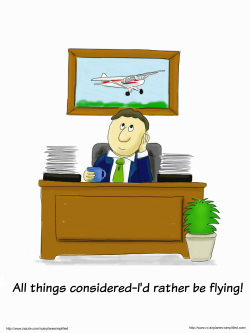 An aviation gift can make a big impression! 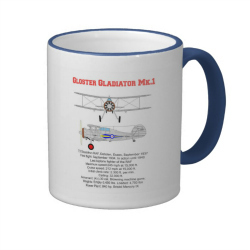 Scale model aircraft or warbirds are printed on mugs and steins. Easily available and can be customized. 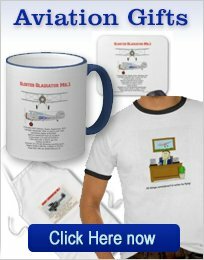 Each one of these aviation gifts shown here are available in different styles and sizes of mugs and many colors. Each of these make excellent gifts and all are customizable, so they can become truly a "one of a kind" gift. 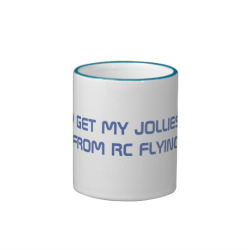 Take this mug to the office and show your friends and work mates your love for the hobby. Also available as a 10 oz. stein and a frosted glass mug. 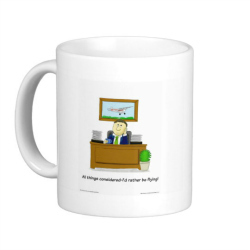 The original artwork featured on this mug makes it truly original. Similar to above coffee cup, but this daydreaming flyer is an RC flyer! 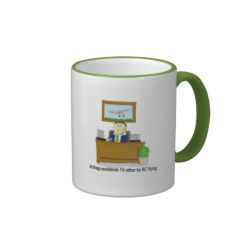 Available in different styles and colors and is, of course, customizable. 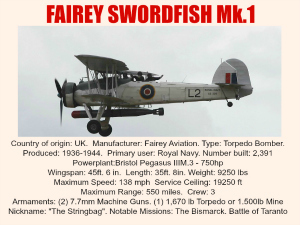 The Fairey Swordfish was British torpedo bomber that, despite its out dated appearance, served with distinction in WW2 . It is remembered for the attack on the German battleship Bismark and the attack on the Italian fleet at Taranto. It was here that a large part of the fleet was sunk and may have given the Japanese the idea for the Pearl Harbor attack. 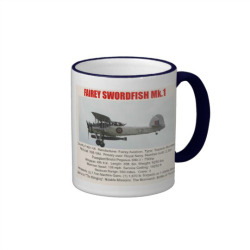 Click here for further details of these attractive coffee mugs. 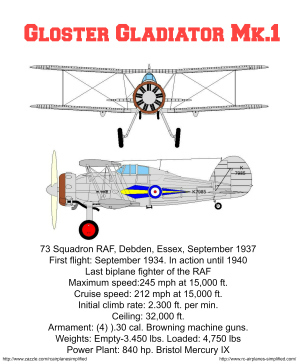 The Gloster gladiator was the last biplane to serve with the RAF. It was the last of a development, that stretched back to World War 1. Despite it's obsolete design, it served with some success. 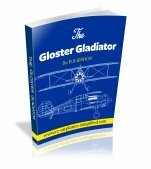 It is well remembered for the defense of Malta, when 3 Sea Gladiators were the islands only air force! The 3 became known as "Faith", "Hope" and "Charity". There were some silver doped versions, as shown here, but war time camouflage was soon painted over it, when war was declared. 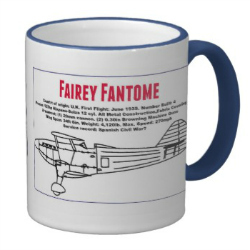 The Fairey Fantome may very well be the most beautifully streamlined biplane ever built! 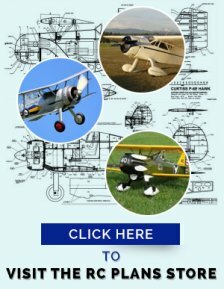 Only 4 were made and it was evaluated by the RAF but it was considered to be out of date when compared to the contemporary monoplanes.